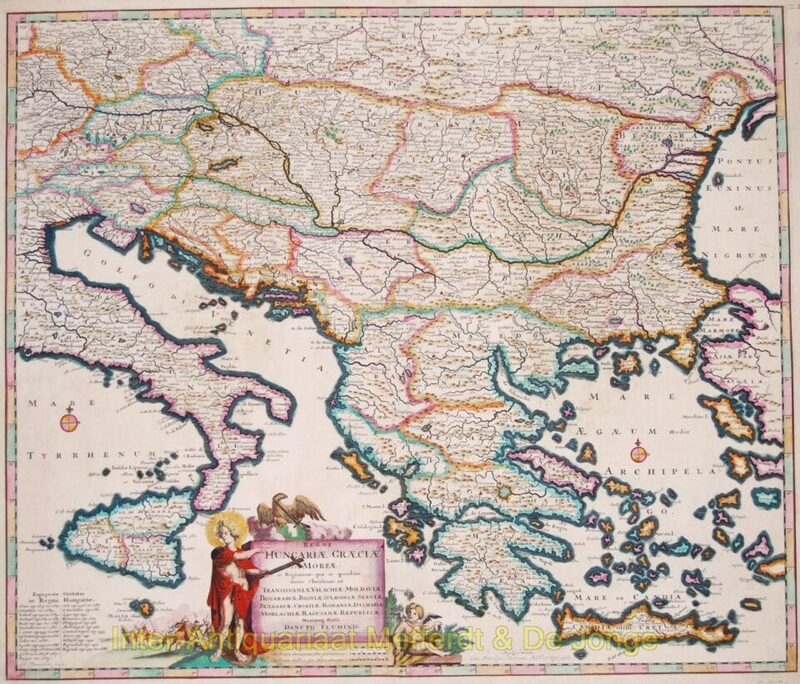 Nice map of the greater Balkan region, follows the course of the Danube from Passau to the Black Sea. Published in Amsterdam by Justus Danckerts, 1684. Original hand colouring. Size: 51,2 x 59,9 cm.